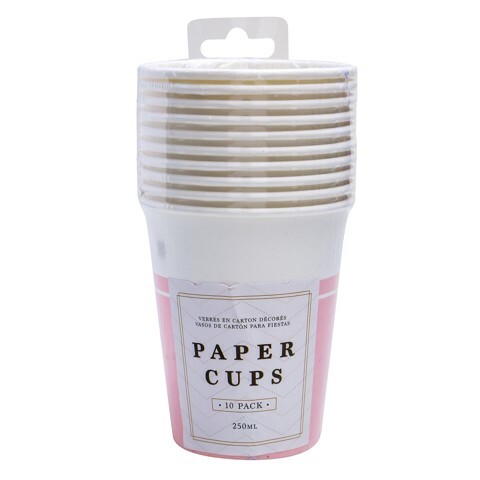 Party Cups 250Ml Pink 10Pk. Height: 8.7cm l Top Dia:7.5cm l Bottom Dia: 5.2cm. Pink. 250gsm White Cardboard. 55g Packaging: Opp Bag with Colour Label.